The Audix M1250 Micropod is a podium microphone that has complete immunity from the RF interference of cell phones and GSM devices. 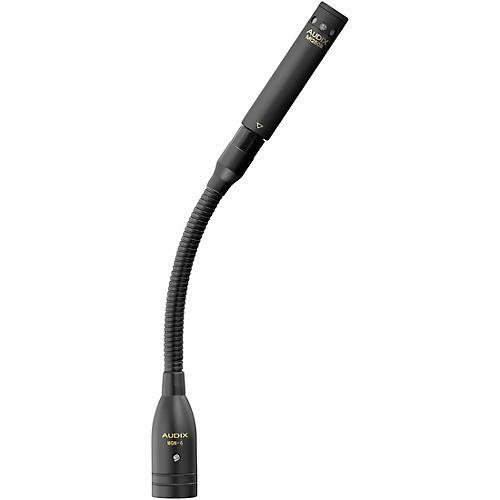 The M1250 microphone is available with cardioid, hypercardioid, omni, and shotgun capsules, giving this Audix mic the unique ability to be used in a wide variety of live, studio, and broadcast applications. The Audix Micropod is available with a wide array of clips and accessories allowing the microphone to be used for drums, percussion, musical instruments, overhead stage miking, podiums, conferences, and presentations. Length of Goosenecks: 6" / 12" / 18"